The global automotive robotics market was valued at USD 5,050 million in 2017 and is anticipated to grow at a CAGR of 12.4% during the forecast period. The automotive industry employs robots to perform a variety of tasks including painting, welding, finishing and assembly. Robots are also used to perform crash tests for evaluation of the safety of vehicles. Automotive companies are increasingly using robots to save cost and increase their production. Use of robots in the automotive industry enables manufacturers to achieve high quality, reliability, economic efficiency and less product life cycle cost. The major companies offering automotive robotic solutions include ABB Group, Fanuc Corporation, KUKA AG and Yaskawa Electric Corporation. There has been a high demand for automation in the automotive industry. Companies are automating their manufacturing processes to reduce cost, save time and deliver better quality products. Use of robots in the automotive industry enables automation of manufacturing processes while reducing the workload of employees through collaborative work environment to drive the automotive robotics market. Due to stringent safety regulations in manufacturing industries, companies employ robots for dangerous and hazardous environment condition. The increasing labor costs in most countries encourage organizations to adopt robotics technology to save costs and time. Automotive robots enable companies to deliver high quality products and reduce wastage due to human error. Advancements of new technologies in vision software and robot guidance would attract companies to innovate and launch new products to meet the customer requirements. 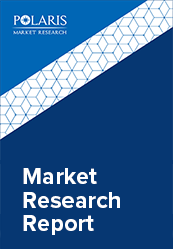 The global automotive robotics market is segmented on the basis of type, component, application, and region. On the basis of type, the market is segmented into Articulated Robots, SCARA Robots, Cartesian Robots, Cylindrical Robots, and others. Based on component, the market is segmented into hardware, software, and services. The application segment is divided into painting, welding, material handling, assembly, and others. This report comprises a detailed geographic distribution of the market across North America, Europe, APAC, Latin America, and MEA. North America is further segmented into U.S., Canada, and Mexico. Europe is divided into Germany, UK, Italy, France, and Rest of Europe. Asia-Pacific is bifurcated into China, India, Japan, and Rest of Asia-Pacific. Asia-Pacific accounted for the largest share in the Global Automotive Robotics market in 2017.